Frankly, no. Not in its proposed form. That said it only needs a small adjustment to become a workable solution. In September 2015, I wrote a very brief article on whether multi-family units are a potential solicitor to the housing shortage in Ireland - https://www.linkedin.com/pulse/multi-family-units-potential-solution-housing-shortage-pennick/. Two years later, the build to rent market has started to establish itself in Ireland. It now accounts for 6% of overall investment spend in Ireland according to recent CBRE analysis. It has gained traction due to the presence of US institutional investors who have had multi-family developments in their US portfolios for years. These are developments that are specifically designed with long term renting in mind. Over the summer, there has been plenty of articles explaining what these developments are. It seems that this message has finally reached government ears. 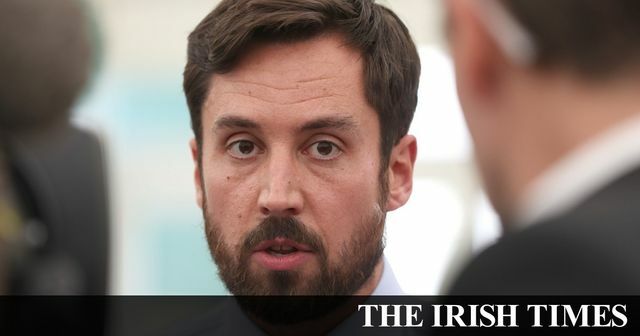 This morning’s Irish Times reports that the government is considering the development of shared accommodation where young professionals can rent a room and en suite and have access to communal kitchens and living rooms. It is well meaning but not thought through. There has been criticism that this idea could a retroactive step that brings us back to the age of tenements. The suggestion needs one simple adjustment to make it a proper built to rent development. Successful build to rent developments do provide renters with a small private kitchen and living spaces. They also provide bigger communal kitchens and entertaining spaces such as cinema and games rooms as well as good storage facilities. They work because they are well managed and tend to have very low vacancy rates. I lived in this type of building 12 years ago in Germany and it is ideal for young professionals. You have your own space to cook for yourself but if you want to have friends over, you have access to a better equipped kitchen and dining areas. This is the type of development that the government should be considering for young professionals. It is also affordable and would certainly appeal to young professionals. As of now, the government are considering this initiative. They need to tweak it as the last thing we need is more unusable tenements to partner our existing ghost estates. Build to rent is not a novel idea. It has been a feature of US and European cities for years and it works. There should be no need for this “novel” idea to spend two more years being reported on in government departments before it gets rolled out. Private investors are already developing built to rent developments here because the business model works. Build to rent offers an alternative investment opportunity in the real estate market and can provide an affordable solution to the rental market provided it is priced correctly. Among them is a move towards the development of apartment complexes similar to student accommodation and based on models in London and Berlin. The proposal would see the construction of high-rise developments catering for hundreds of people, with shared services offered to tenants.